McALLEN — Aside from the Santa Ana National Wildlife Refuge, much of Hidalgo County will be walled off from the Rio Grande, totaling 45 miles of border barriers in the area, according to letters and maps U.S. Customs and Border Protection sent to those with property along the river. On top of the roughly 20 miles of wall currently on the levee near the river, CBP said in the letters that there will be approximately 25 miles of new wall. The proposed design mostly mirrors the existing barrier — a concrete levee wall with 18-foot steel bollards sitting atop the structure, the letters said. The project will also include LED lighting, a camera surveillance system and a 150-foot zone on the south side of the wall where only property owners and law enforcement will be allowed. 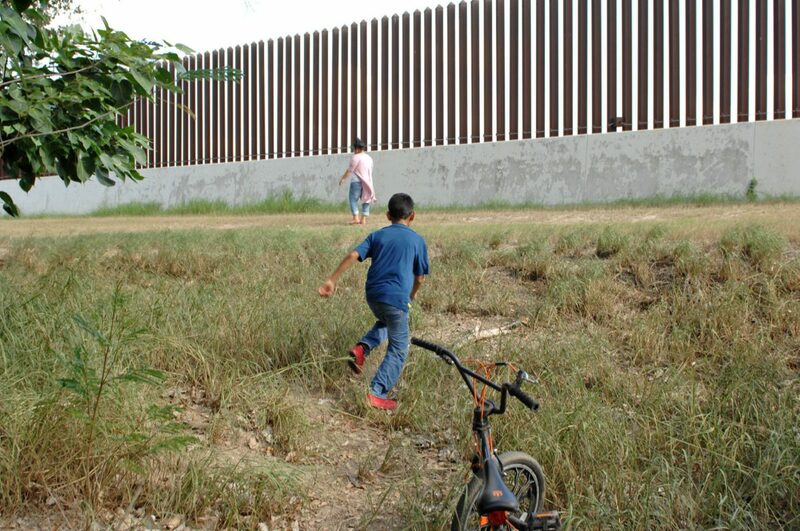 A boy runs up toward the U.S. border fence from his own backyard in San Benito along Old Military Highway Friday, June 30, 2017, as some families in Cameron County receive condemnation notices from the U.S. government to settle border fence land cases as the border wall looms closer to construction. The agency is also seeking public comment about these projects within the next 30 days, sent to commentsenv@cbp.dhs.gov, with “RGV Border Barrier Construction” in the subject of the email. President Donald Trump signed a $1.3 trillion spending bill in March, which included $1.6 billion related to the border wall. That bill called for 25 miles in Hidalgo County and 8 miles in Starr County, but maps were not provided in the bill. Recently, property owners along the river began receiving notices from CBP. The agency confirmed last week it submitted a request for entry onto properties across the two counties, including the Rio Grande City school district for border wall survey and site assessment. The agency requested access to the properties for 18 months. 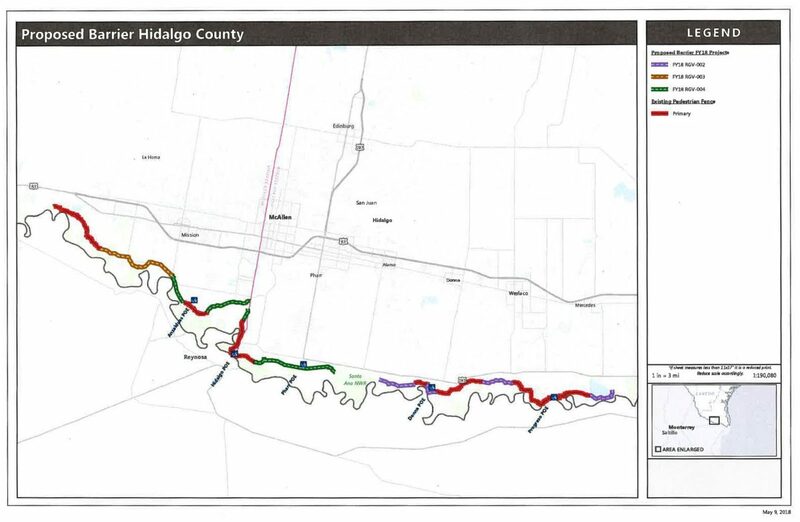 This story was updated to reflect that much of Hidalgo County will be walled off from the Rio Grande.